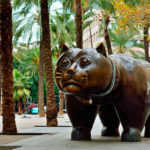 Affordable vintage designer furniture in Barcelona can be found in a variety of specialised stores throughout the city. It is hard to believe that such finds were once a rarity, as now there is a fab selection of places to pick up gems, some of which have been restored and others at brilliant prices that are sure to make your home look like a masterpiece from an interior design magazine. 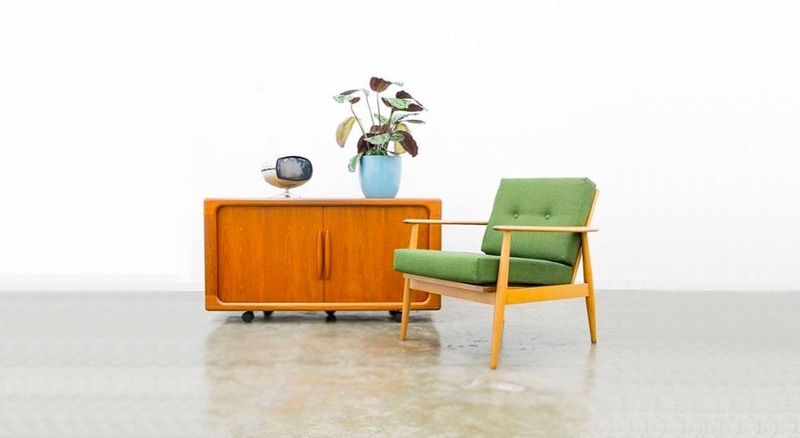 A really cool showroom with vintage furniture and objects from the 50s, 60s and 70s. Situated in the Sant Antoni area, close by to our central apartments, products are elegantly arranged and the customer service is flawless. Many items are sourced from the UK and Germany, so a good spot if you want to find something a little different. Other treasures such as posters, ornaments and trinkets can also be purchased. 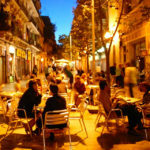 A furniture store located in the bohemian and artisan district, Gracia. If you want to decorate your pad with more than just Ikea items or simply want to add a quirky personal touch with vintage finds, you will love this store. Set on a quiet street, you will find distressed wooden furniture, antique tea sets, armchairs and tables amongst other finds. It is amazing just how owner Claudia, who brings some of the pieces that she picks up from markets, brings them back to life. With pieces handpicked from France and Spain, the eclectic array of items and artwork you can find here make this an exciting little store. From delightful retro cabinets to tea sets and more, this is most definitely a place with charm and sure to excite vintage furniture fans. We particularly like some of the china and mirrors that you can find and let’s not forget the beautiful, elaborate lamps. You will definitely find some throwback items here and the team are super friendly. 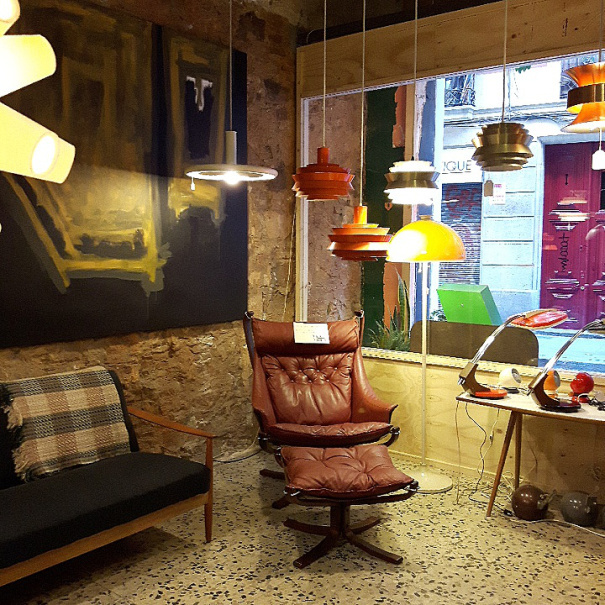 A delightful new find in Poble Nou that oozes sheer vintage Scandinavian furniture. There are lots of tables (including some from Engström & Mysrtrand), chairs, light fixtures and beautiful objects. If you are keen to source some original pieces from Scandinavia then this is the place. Get shopping! 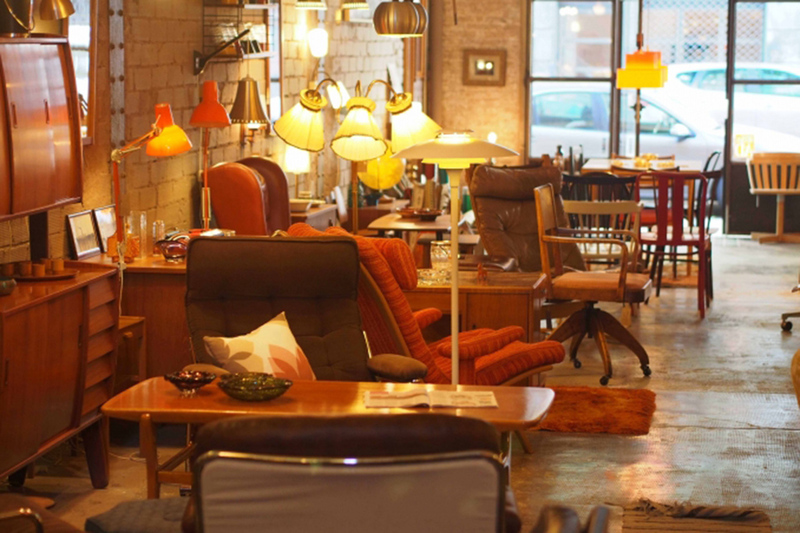 This Raval treasure trove boasts a huge array of vintage lighting fixtures and lamps as well as seating, tables and other furniture. Tucked away in Peu de la Creu, this vintage furniture shop sells some truly unique and one of a kind pieces. Grab a coffee at nearby Komo en Kasa or a cerveza at Bar 33/45 and watch the world go by as you admire your new purchases!